It’s the closest thing yet to a cruise missile for the average infantryman. 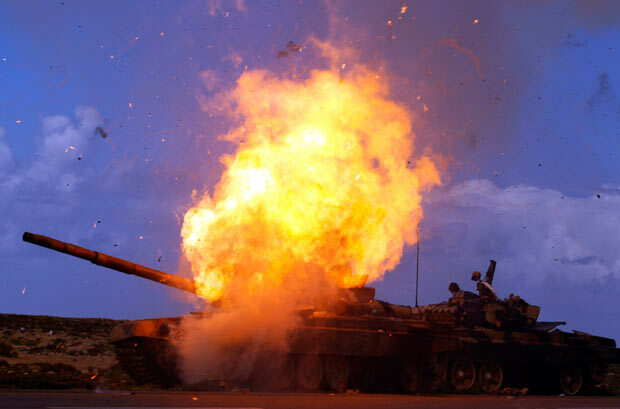 In the waning years of the Cold War, a period where main battle tanks and the means to destroy them thrived exponentially, a new missile was coming along. The type was first successfully deployed in Sweden with the arrival of the Bill 1 anti-tank guided missile in 1985. Not only did the missile fly toward its target, it traced an arc over the battlefield and struck with violent force. Across the Atlantic the very same concept was being applied to the successor of the problematic shoulder-fired M47 Dragon. The outcome was large, cumbersome, and accurate to a fault. The two American defense contractors tasked with R&D-ing the project, Martin Marietta and Texas Instruments (later Raytheon and Lockheed Martin), designated it the FGM-148. It was also called the Javelin. With the FGM-148 Javelin, which entered service with the US Army in 1994, for the first time ever an operator could engage a target on the ground, in the air, and far away…and then forget about it. 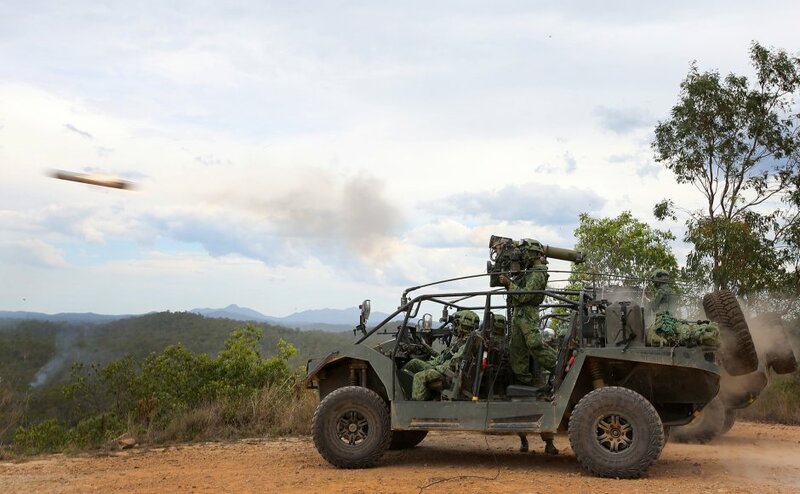 The Singapore Army’s Light Strike Vehicle MK II is armed with two Spike missile launchers on a pivoting mount. The Javelin proved itself in April 2003 in Northern Iraq. As US armor was racing toward Baghdad from the south a unit of Green Berets held off Iraqi tanks and troops at an important crossroads linking Mosul and vital oil fields. They did it with Javelins and the battle of Debecka Pass has gone down as a clean cut American victory in an ambiguous war. What gave the Javelin a lethal edge was its operation. The shoulder mounted Command Launch Unit (CLU) that supported its missile tube could lock on a target and independently program a flight path, with no further input from the soldier. Once fired, the 127mm missile shoots out and then accelerates to 500 meters before striking its objective at an angle with a tandem penetrative warhead. The long and grinding campaigns in Iraq and Afghanistan ensured the Javelin’s success. Rather than destroying tanks, however, in many cases the Javelin became ideal against structures and fortifications. The Javelin’s popularity launched a new era in anti-tank weapons. A handful of countries have developed their own flyover ATGMs, albeit with varying results. The current peer group of the Javelin are China’s unproven HJ-12, Israel’s export bestseller Spike, Japan’s mysterious LMAT-1, and Sweden’s NLAW and BILL 2. Only the Spike manufactured by Rafael can match the Javelin’s popularity. Designed to be fired from vehicles, boats, and helicopters, the Spike’s nose is equipped with an infrared seeker that follows its target before detonating a tandem warhead–a deadly combination against explosive reactive armor. Depending on the variant bought by a customer, the Spike’s range can extend to eight kilometers. The Spike has been a resounding success and is the world’s most popular flyover or top attack anti-tank missile system. Sold to 30 countries, the Spike’s Asian customers include Azerbaijan, Singapore, South Korea and in November last year India signed a contract for 8,000 missiles from Israel worth $525 million.